Growing a successful edible garden involves timing things right. Sowing the right seeds at the right time makes optimum use of space and allows you to stagger your harvest. But before choosing your seed packets and eagerly planting your plot, remember that soil temperature is critical to seed germination. So for a June plant, match your region's average soil temperatures with vegetables best suited to those conditions. If seeds are planted in soil that is too cool, you'll lose both money and precious growing time. In cooler climates, late-maturing vegetables sown in June will not be ready for harvest until late fall. So get a jump on things by purchasing plant starts for these varieties. But those who live in warm climates can sow these same seeds straight into the ground in early spring. And just because a seed doesn't fall onto your climate's list for June, doesn't mean it can't be planted at all. You just need to do so at a different time. Some think it's a lesson in futility to grow vegetables in Alaska, the Rocky Mountains, and northern New England. But actually, certain hardy plants do well in cool climates. When everyone else's arugula and lettuces have gone to seed, gardeners in the north are planting their second crop for season-long salads. In June, plant root vegetables like radishes, carrots, beets, and potatoes, so that their sprouts appear after the last frost (which can happen mid-June in high mountain regions). Hardy plants like peas, scallions, kale, and chard also do well sown straight into the ground. But for cucumbers, squash, melon, and pumpkins, it's best to purchase starts to sow in June. Or better yet, sow these vegetables by seed in a greenhouse in May to avoid both the spring and fall frosts. By June, summer temperatures should be in full swing in zones 4 and 5. However, you can still get away with sowing hardy greens like chard, kale, and some lettuces (though certain types of lettuce may go to seed if the temperature climbs too high). All root vegetables, like carrots, beets, and parsnips, will do well sown in June. And carrots and parsnips can even withstand a little snowfall in late autumn to set their sweetness before harvest. Sow your second radish crop at this time, too. 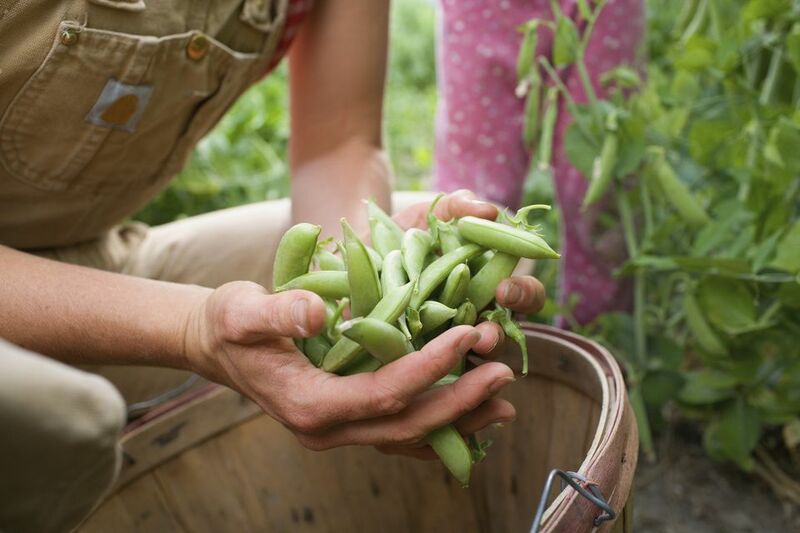 Squash (both zucchini and summer squash), beans, cucumbers, melons, and pumpkins can all be planted early summer, with the hopes of an Indian summer for a bountiful harvest. And if summer decides to cut short, throw a frost cover over any remaining plants with fruit to enjoy your harvest a little longer. Arguably, the Pacific Northwest and mid-Atlantic have some of the best climates for seed germination (and good soil to boot). Since seeds and seedlings love water and need to be constantly hydrated—almost soaked—in order to sprout, the mild June rains in the Pacific Northwest are perfect. Greens like arugula, chard, and spinach flourish in wet temperatures and will be some of the first crops you harvest. Beets, carrots, parsnips, and potatoes (the seed is the tuber itself) will also benefit from June planting. Pumpkin, squash, and zucchini seedlings love the moist soil. And with the days growing warmer and sunnier into June, this will allow the plants to proliferate. But if you plant them too soon in a rainy climate, they may rot before they flower. In sunny California and the southern United States, most crops have peaked by June. While New Englanders are just starting to see a variety of veggies on their plates, Californians are eating nothing but. Sowing in warm climates in what seems to be full-bore summer can be tricky. Just inland you need to irrigate to provide enough water for seeds to sprout. But coastal Californians can use the reprieve of the marine layer to help with sprouting. Try tomatoes, melons, corn, and okra in zones 8 through 10 in June. But make sure to cover seeds with row cover to keep them from drying out. Most climates on the islands of tropical Hawaii enjoy fresh produce year-round. So similar to the continental south, Hawaiians are reaping their gardens' bounty in June. Still, beans, corn, watermelon, and tomatoes do well from seed in June. Really though, you can grow most vegetables year-round in Hawaii. If you're lucky enough to live there, practice succession planting (planting one crop after another in the same space). And make sure to rotate your crops, based on soil nutrient needs, so you don't deplete your soil in one spot.